The 3DS StreetPass games cost $4.99 each, or $14.99 if you buy all four of them together. Last month, European and Japanese 3DS users were treated to a nice little surprise update to their systems, which included four new StreetPass games. That update has now finally come to North American systems, and you can access them by first performing a system update, then going to your Mii Plaza and performing the Mii Plaza update. The update adds four new titles: Mii Force is very similar to the original Find Mii StreetPass game, but set in space, Flower Town is kind of an Animal Crossing-style gardening and collection game, Warrior's way is a strategy game, where you use collected Miis as an army, and Monster Manor is a Luigi's Mansion-type mystery game. The games cost $4.99 each, or $14.99 if you purchase a special bundle that contains all four games. Please note that the bundle is only available when you buy your first game, so if you buy one separately, you have to buy them all separately. You purchase the games from within the Mii Plaza itself, rather than the Nintendo eShop (although it still uses the funds from your eShop wallet). 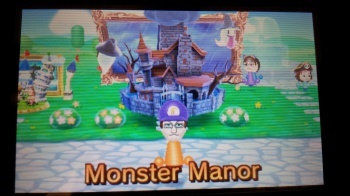 StreetPass has been one of my most enjoyed little features of the 3DS. It helps that I live in Japan and get a pretty healthy influx of StreetPass tags, but I am privy to the pain that our American, especially rural American readers feel. If it makes you feel better, Nintendo is planning to implement "StreetPass Stations" all across America, which will allow select Wi-Fi hotspots to "store" StreetPass data and pass it along to every 3DS that comes into contact with it.